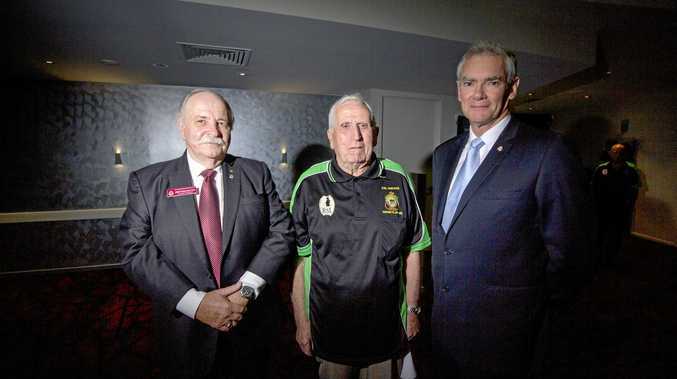 TREATMENT by older veterans and some Returned Service Leagues clubs of younger Defence Force members is one reason why an independent support group is being set up in Central Queensland. Dylan Fraser, who served in the Australian Army for 10 years, said many young veterans feel 'not at home' at facilities set up for Australian veterans like RSLs. "They come across very rude... at certain RSLs," he said. "I know that there is a lot of people out there that will refuse to go to an RSL because of it." Dylan's wife Kym said it's mostly on Anzac Day that it happens. "Dylan's had comments from certain RSLs in regards to his medals and older gentlemen saying to Dylan 'oh, what are you doing wearing your dad's medals on that side'," she said. "They are thinking that because Dylan's so young he doesn't deserve to be wearing the medals on the left side." Dylan said he thought part of the issue was that older veterans feel younger veterans were 'highly paid'. After the Vietnam War, Australia's defence forces were united into one organisation and in 1976, the military forces were united into a volunteer, professional defence force. "I think a lot of RSLs these days need to get back to their grassroots, get back to where they came from and remember how they got treated when they got back," Dylan said.